Dimensions (HxWxD): 2.375" x 1.375" x .4"
This stunning light filled translucent 185 carat, 2.375 inch long Gem Quality Natural Blue Kunzite Specimen from Afghanistan has natual terminations which gives it some directional energy, making it possible to use this piece as a wand or as a medicine bag stone. It is small enough to use either placed upon the body during treatment or in a client's hand during treatment or for meditation. Because it fits well held in the hand and is instantly relaxing it is suitable for use in any kind of healing or meditation work. 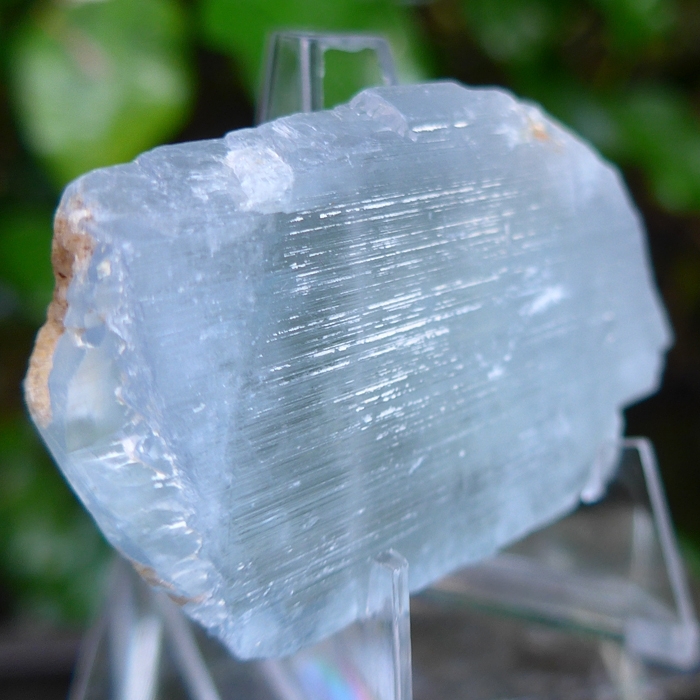 It has tremendous sparkling gem quality of light & clarity & wonderful luminous pale blue coloration. 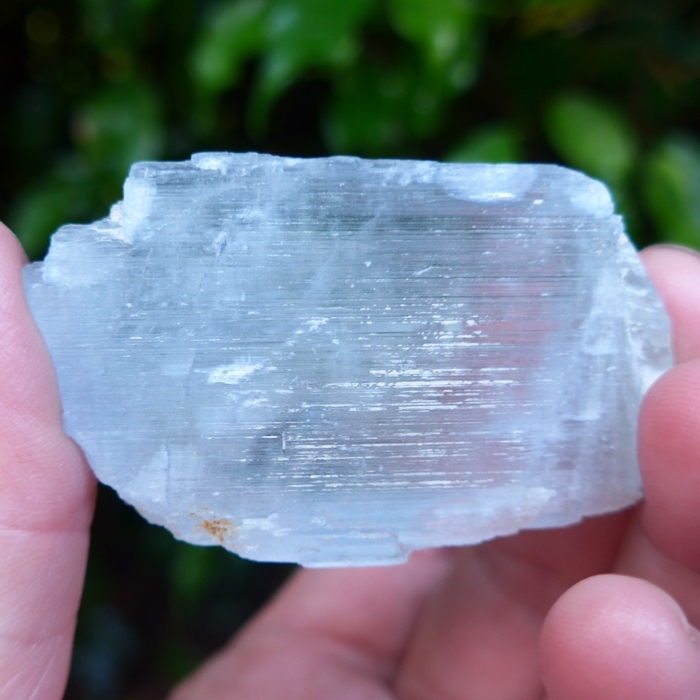 Mineralogically, kunzite or Spodumene comes in colors ranging from white, gray, yellow, emerald green, to pink, blue. violet or pearly colored. The coloring in the violet & the pink forms of the silicate mineral spodumene, comes from the presence of manganese. 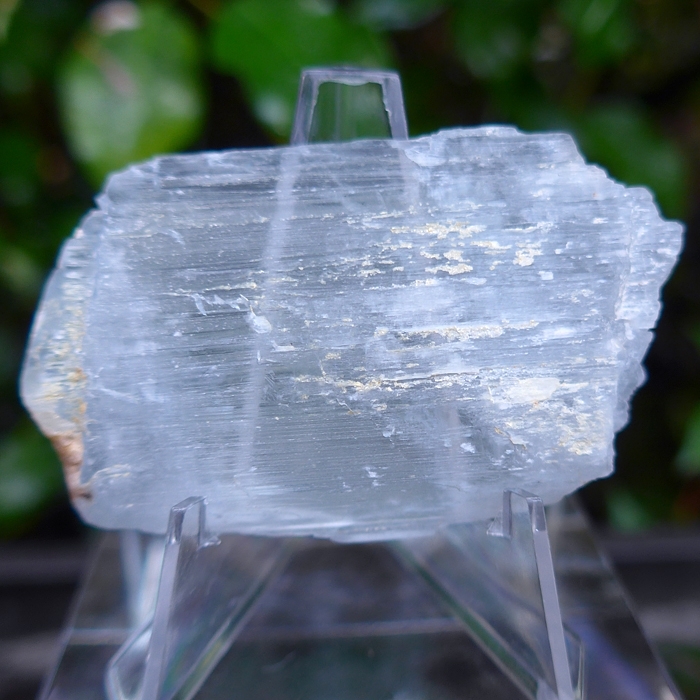 Spodumene is an important industrial source of lithium. And as you may know, Lithium is an excellent mineral metaphysically for healing, for relaxation & for physical gentle soothing energies. Gemstone quality kunzite, such as this sparkling specimen, is translucent or transparent with a vitreous luster. Kunzite is said to connect the heart and throat chakra, providing the inner peace that is the prerequisite for speaking one's own inner truth, free from fear. Kunzite is also thought to provide a powerful energetic barrier to unwanted outside influences of all kinds by raising the vibrational frequency of the area around the stone. This beautiful kunzite wand is a mineralogical collector's item, a spectacular gem and a powerful metaphysical tool for lightworkers and spiritual seekers who wish to experience the loving, protective, and peaceful energy of true gem-quality kunzite. 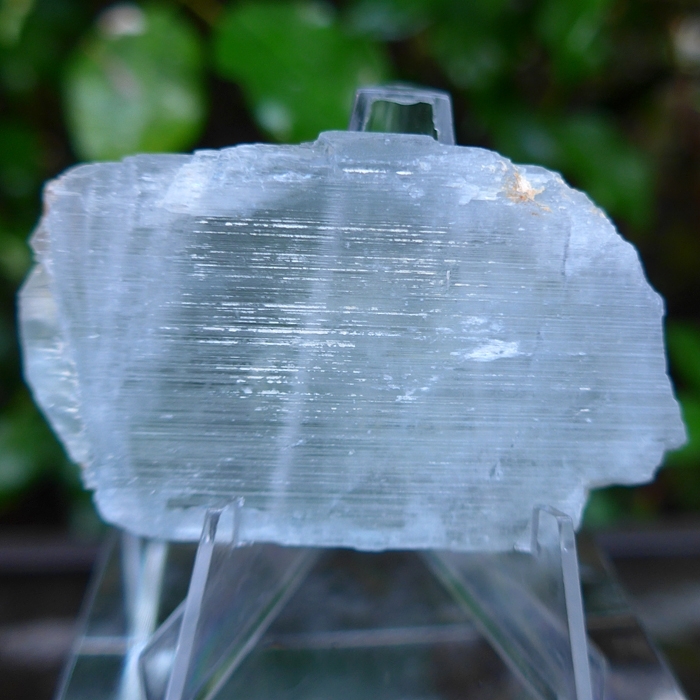 Do not put your kunzite into direct sunlight to clear or charge it as it can fade in color over time if you do so. We know you will use this love-gift from the Divine Mother with your loving wisdom, respecting its long journey in the Earth that has lasted for many long historical cycles. We know you will care for it with the utmost respect and appreciation. Note: Above weight is shipping weight. Net weight is 37 gms.